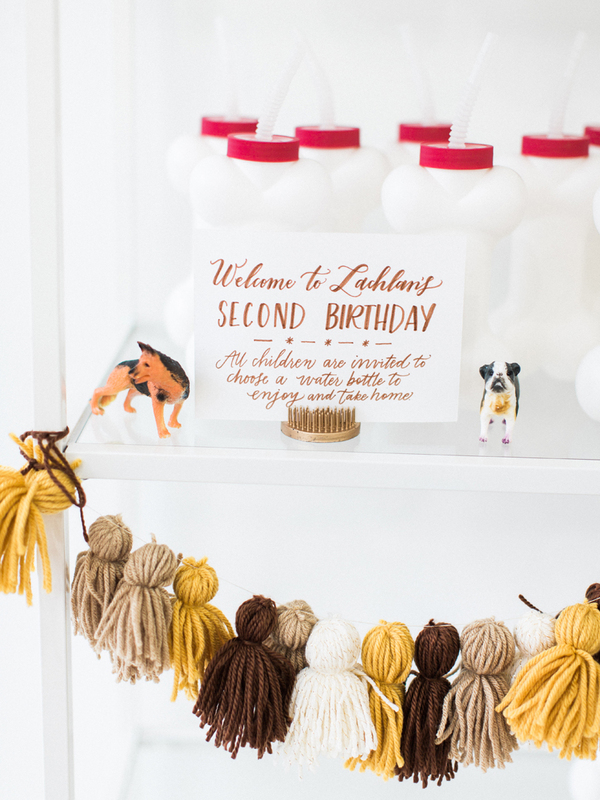 In true party planning spirit, we threw Lachlan a sweet and very fun puppy themed paw-ty for his second birthday. It was ALMOST as much fun as the dinosaur themed bash we hosted last year. If you’re familiar with our furry friend, Zoe (also known as our beloved six year old rescue pup) you’ll know Lachlan is smitten with her. While the feelings aren’t often reciprocated and Zoe fails to find pleasure it the same tail-pulling and fur-grabbing play Lachlan enjoys, our boy really adores his ‘goggie’. I started noticing Lachlan’s admiration for dogs when we would peruse around Target and he would excitedly point to the ceiling or random displays in the store. 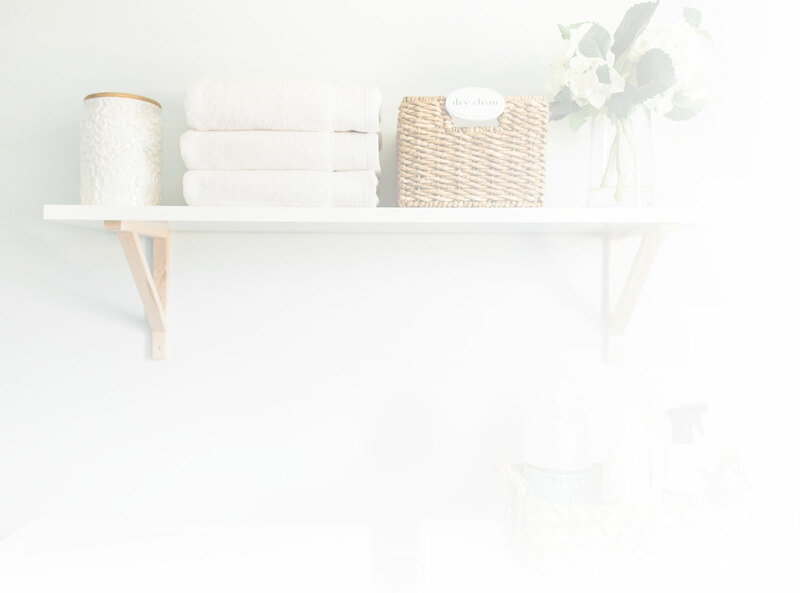 I would always stop and look around confused at his consistent pointing only to have my eyes settle on advertisements including Bullseye, the official Target mascot. And best of all, and to further drive home L’s love for Zoe as mentioned above, are the countless times he shows his love for his faithful companion. 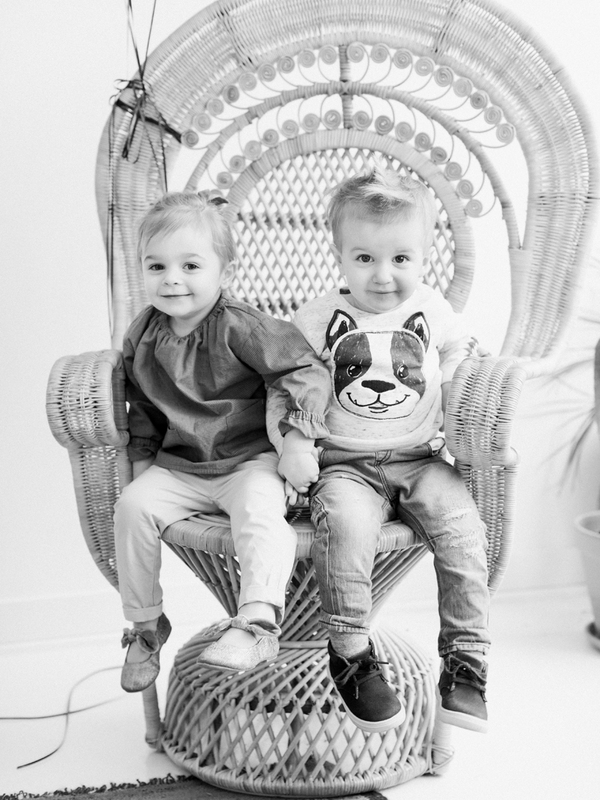 Whether it’s slipping her bites of food at lunch, crackers during snack time, asking for her to come in his room and onto his bed during bedtime, or even asking for her first thing in the morning, when he returns from school, or wakes up from his nap, let’s just say he’s smitten. Celebrating the joys in my life is the heartbeat of my existence. 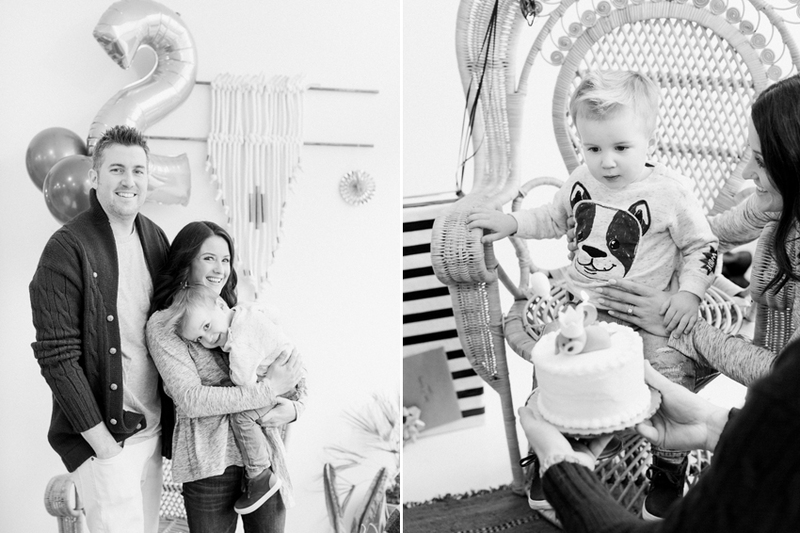 This tradition of throwing themed birthdays for Lachlan and future kiddos, is simply my way of soaking up the blessing of this life I’ve been given. 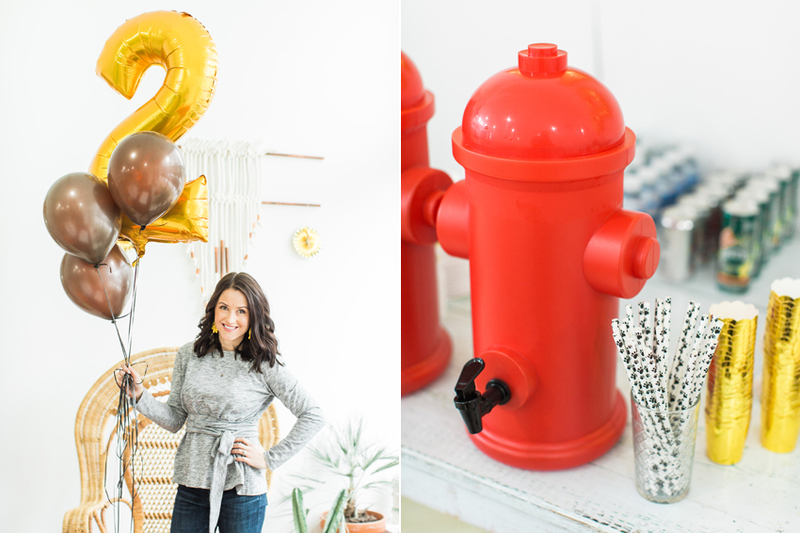 I hope you enjoy the photos below taken by my friend Samantha which highlight some of my favorite puppy paw-ty details (which in totally honesty were WAY too much fun to come up). This is my super bowl. 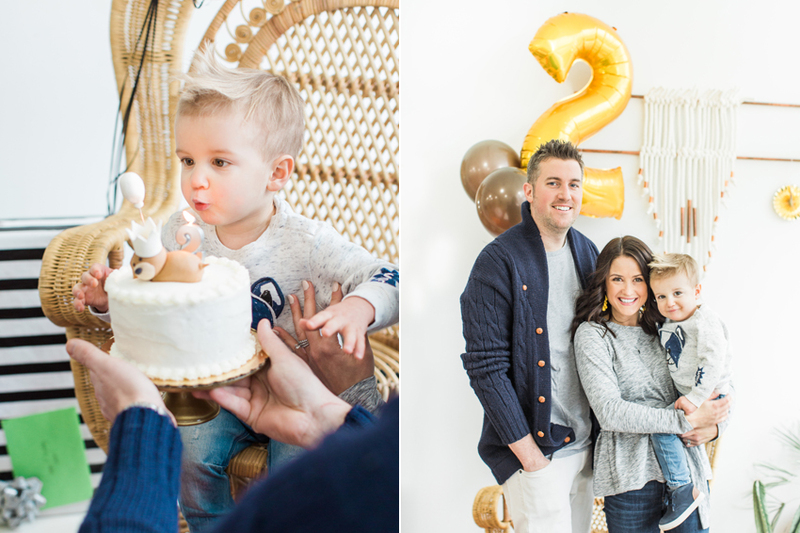 Enjoy our TWO year old’s special celebration! We rented out a local space for the afternoon which is conveniently located next to our favorite coffee shop. 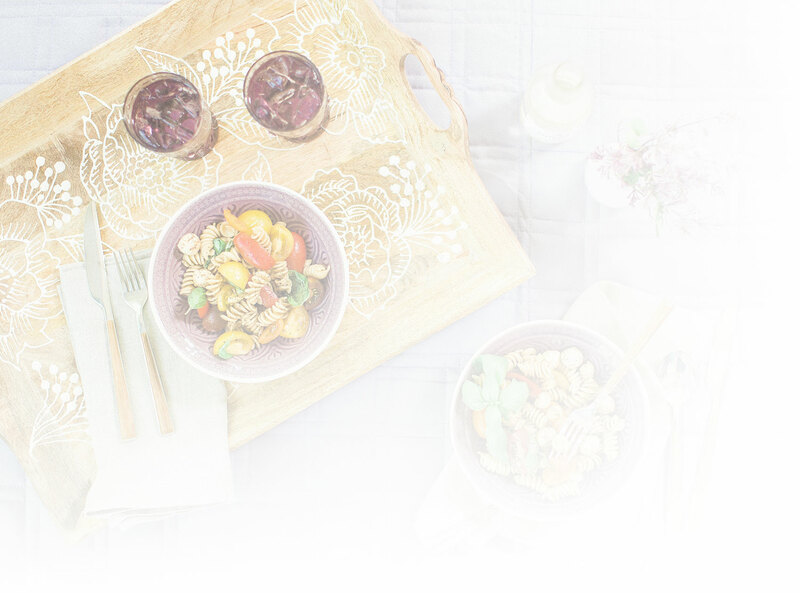 It was important for me to have a blank slate to work with from a theme perspective but also important that we have freedom to come and go as we please, bring in our own food, and have the party be private. Hello, Lamb Bride! 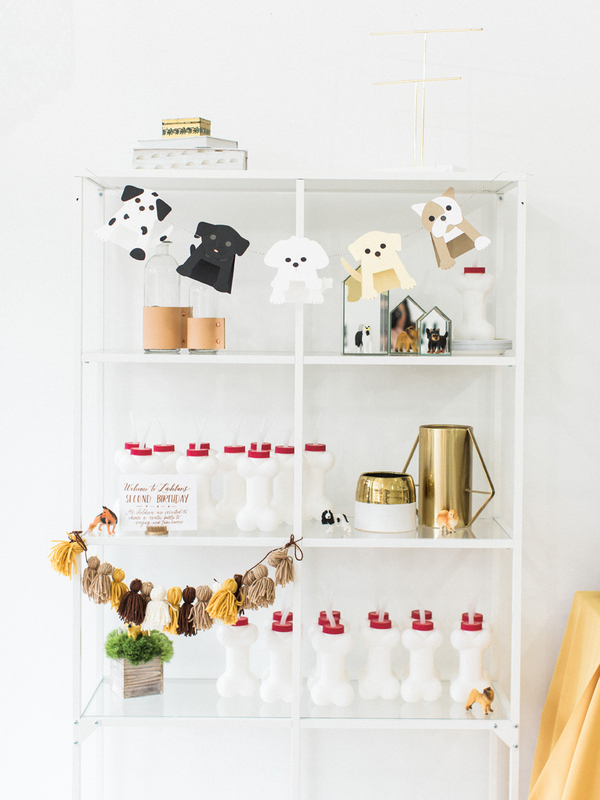 The white shelf above is an existing piece in the space so I used it to display the kid’s party favors which were these adorable bone water bottles! The kept getting knocked over by excited little hands but they were pretty darn cute and quite the hit. I kept out a sharpie for everyone to write their name on as they came in. 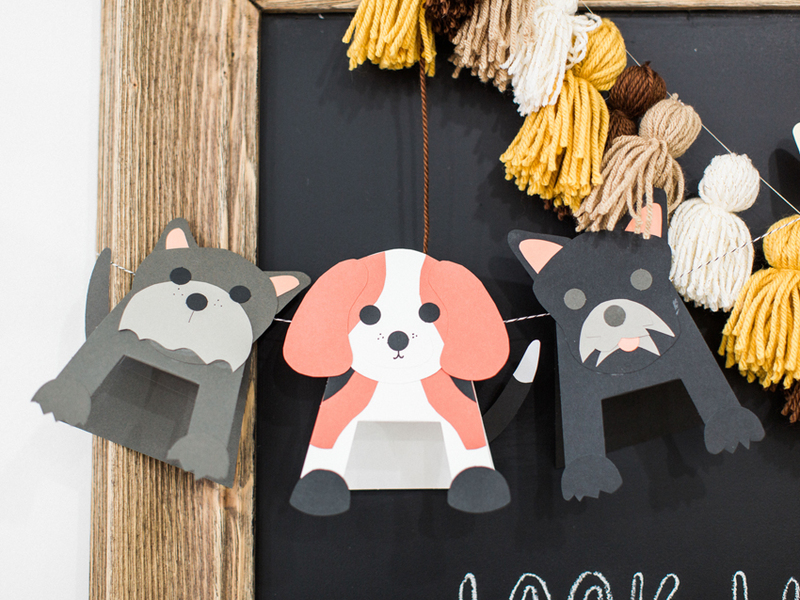 The puppy garland was a time consuming but super worth it craft from Paper Source and the tassel garland was made by yours truly. 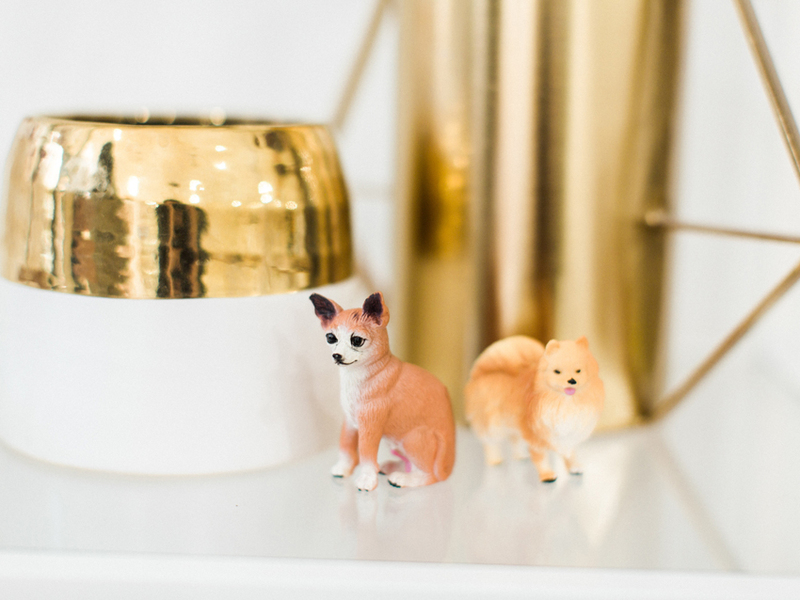 I scored the puppy figurines from Amazon and displayed them everywhere I could! 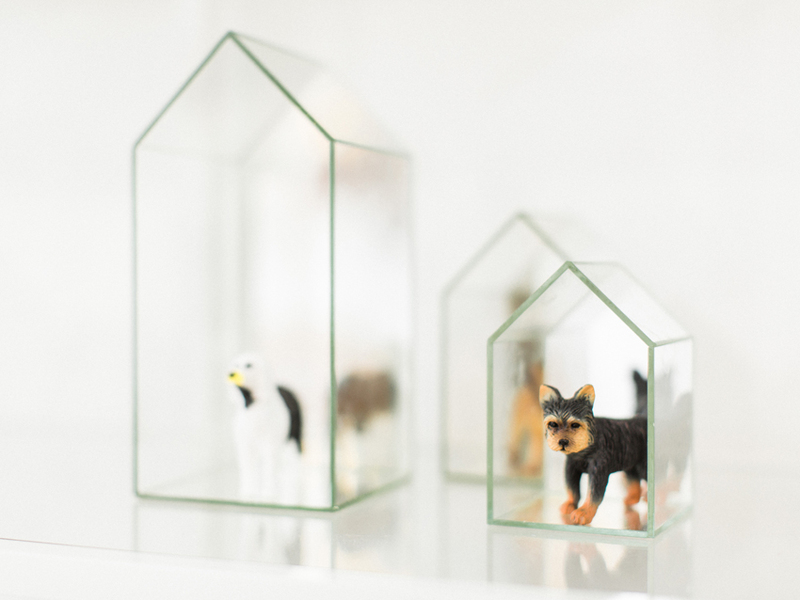 They were on the dessert spread, dining tables, random assortment of furniture around the space, and even in these cute little mirrored ‘house’ knick knacks which I thought was a cute take on a dog house. I told all of the kiddos they could take home three puppies each at the end of the party and they happily obliged! 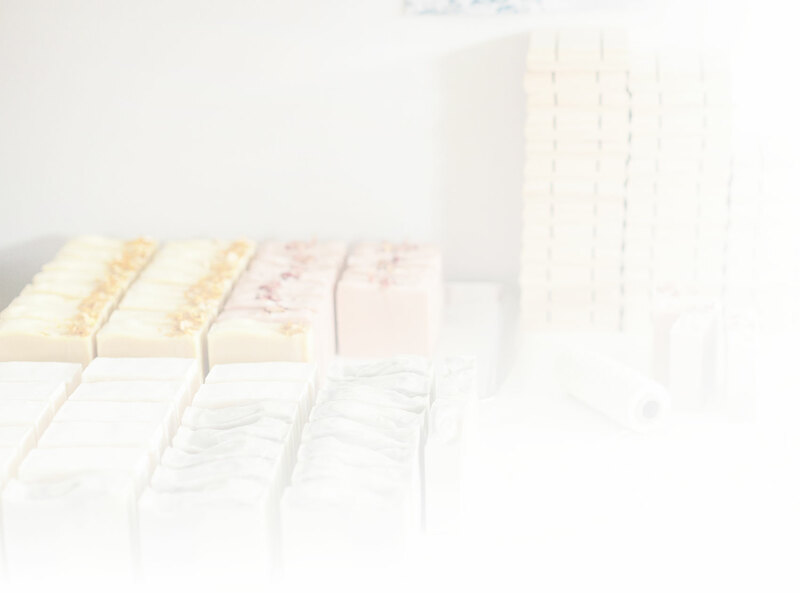 Last year we learned our lesson when we bought WAY TOO MANY desserts. I know, you’re thinking, ‘Rhi! How can there be such a thing?’ Well it happens and let’s say last year we had cake for breakfast the day after the party. 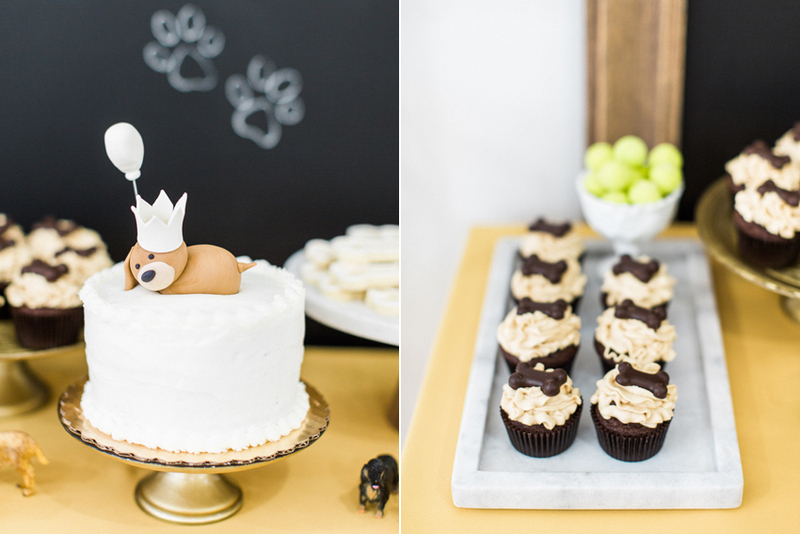 So this year we kept it simple with a funfetti cake from Connie’s Cakes topped with an adorable fondant pup. And then I made the rest! 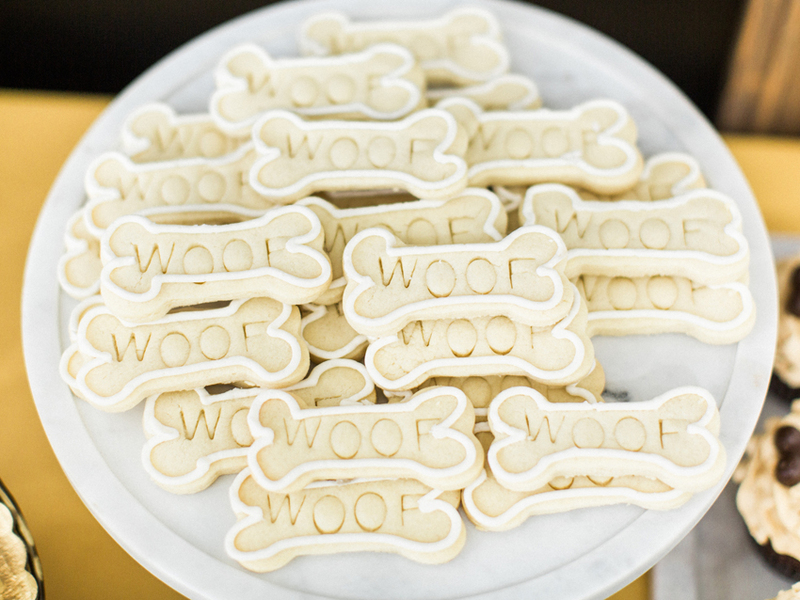 I baked chocolate cupcakes with peanut butter buttercream topped with chocolate shaped bones (using the puppy treat mold from this post), and then bone shaped sugar cookies that said, WOOF on them, outlined in frosting. 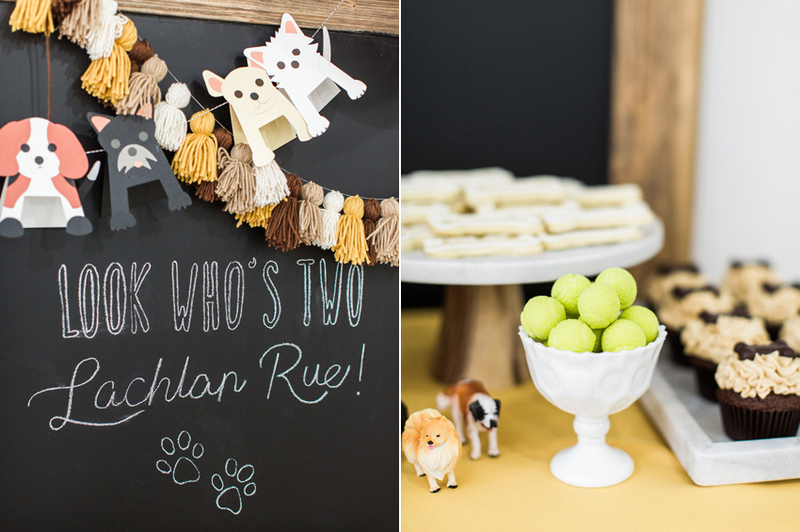 The mini tennis balls were actually gum balls scored at Target in the Valentine’s Day section and they were one of my favorite touches; the older kiddos in attendance would probably agree! 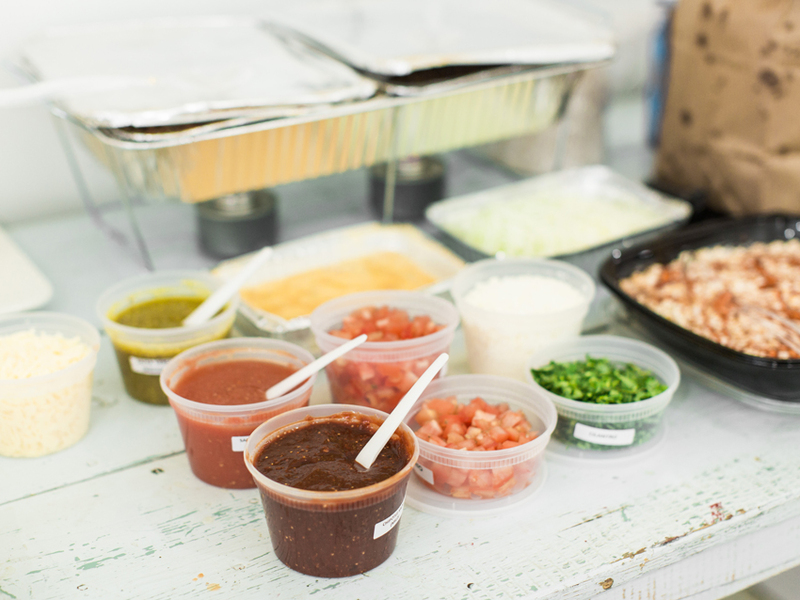 On the culinary side we kept things consistent with last year’s Mexican theme and went with a casual build your own taco and nachos spread from Donkey (one of our favorite places to eat!). And here’s the best part! We opened up plastic containers, plopped in plastic spoons, rolled down the plastic bag the chips came in, and called it good. The table was probably the least ‘designed’ part of the party but a delicious one at that. I also need to talk about these centerpieces. While I feel it’s far from the truth I get that some people may think this all seems excessive. And that’s cool. 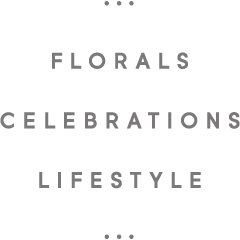 Everyone values things differently, and for us, we value the experience of bringing together our family and friends to celebrate things in a unique and fun way. 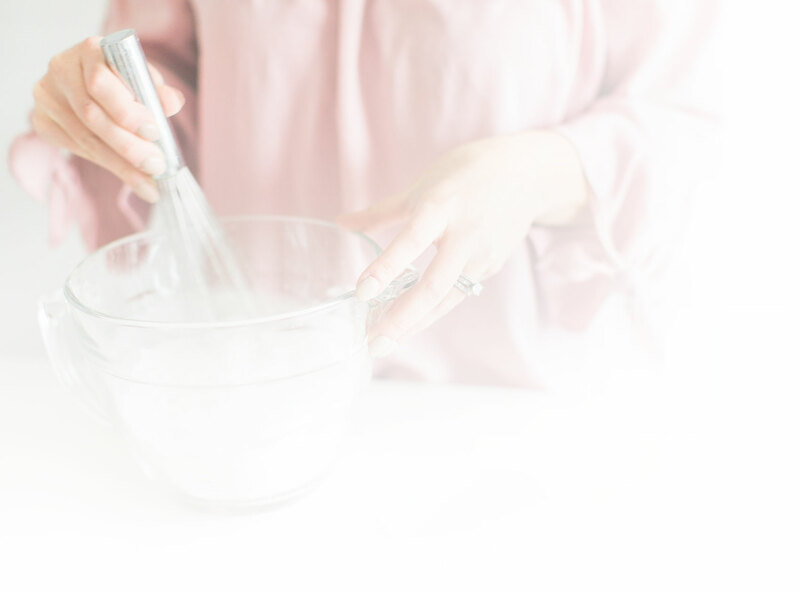 Sometimes tangible things, that may be clever or cute, are included in the equation and I remain unapologetic about that. 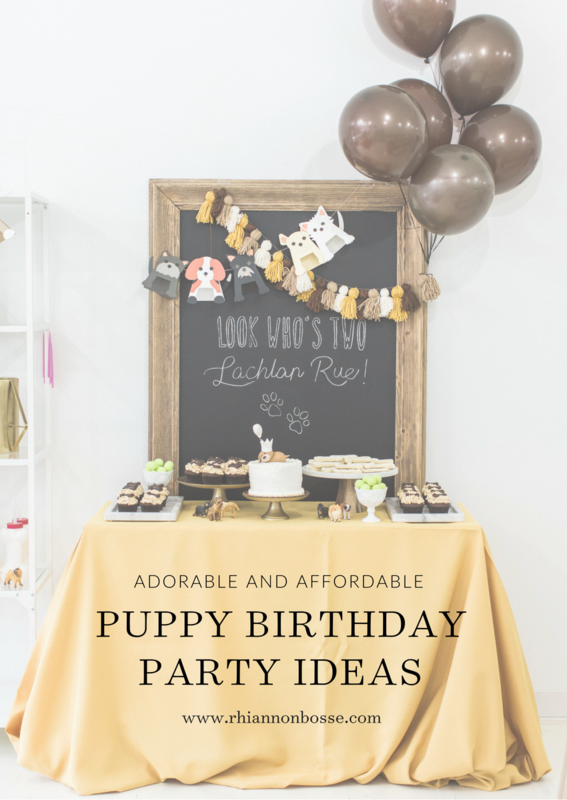 I adore dreaming up these parties for L (and in full transparency, dreaming up clever ideas for ANYTHING) tickles my fancy. 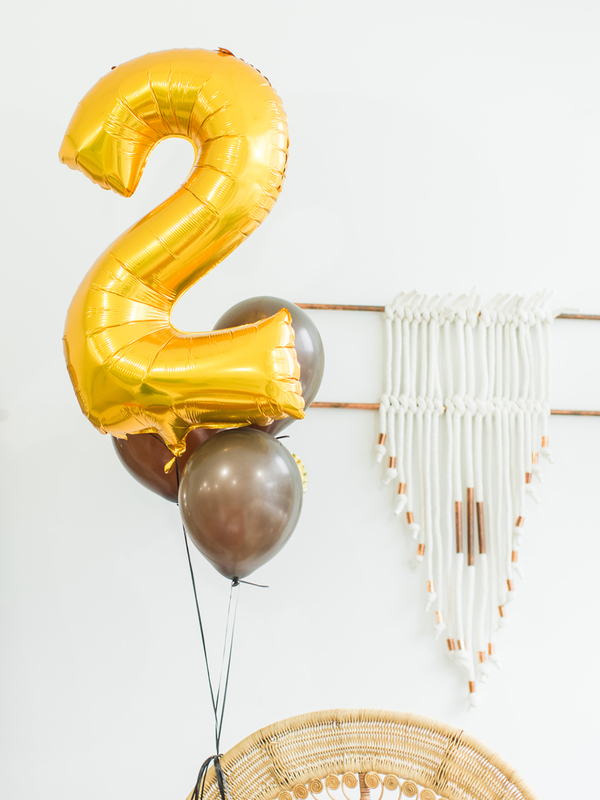 When it came time to make centerpieces for my SON’S SECOND BIRTHDAY (see? I understand how silly that may sound!) 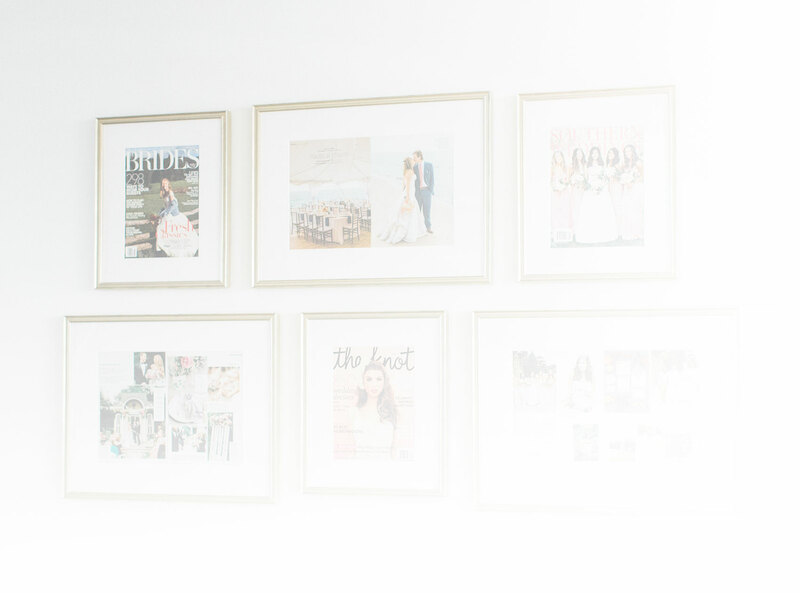 I wanted them to be a little quirky, a lot simple, but most of all FUN. 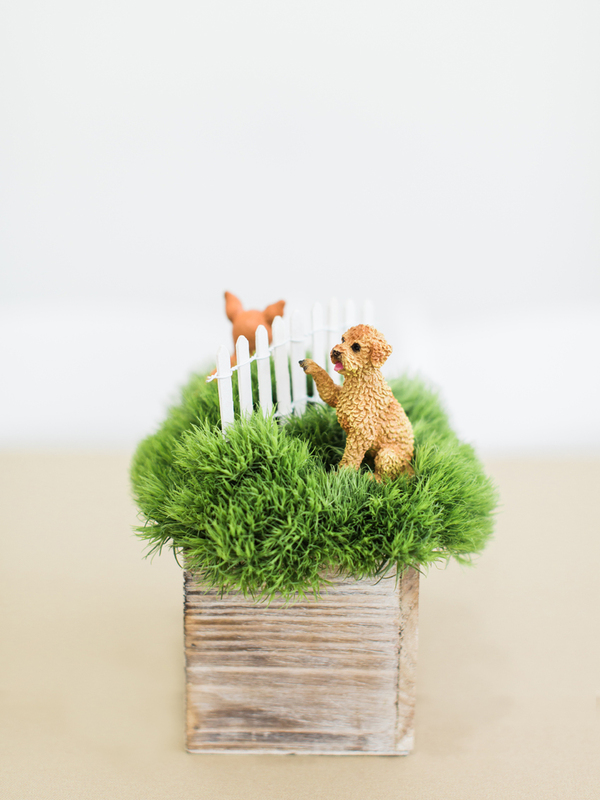 The idea of mini dog park centerpieces popped in my head and in an effort to utilize the dog figurines I already had, containers in my inventory, and with access to foliage that just happens to look like nice fluffy pieces of grass, you can see what I came up with. Simple strips of faux white fence from the craft store was the finishing touch in my centerpieces and I must say they were quite the hit! 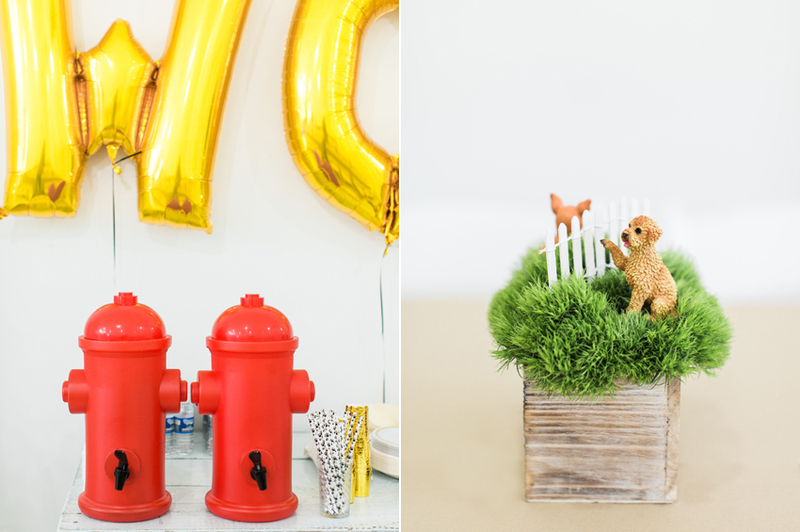 The fire hydrants were another score from Oriental Trading and held lemonade and Honest Kids fruit punch for the younger guest’s bone water bottles. Paw print straws were on hand for drinks and mini gold scalloped cups for salsa. 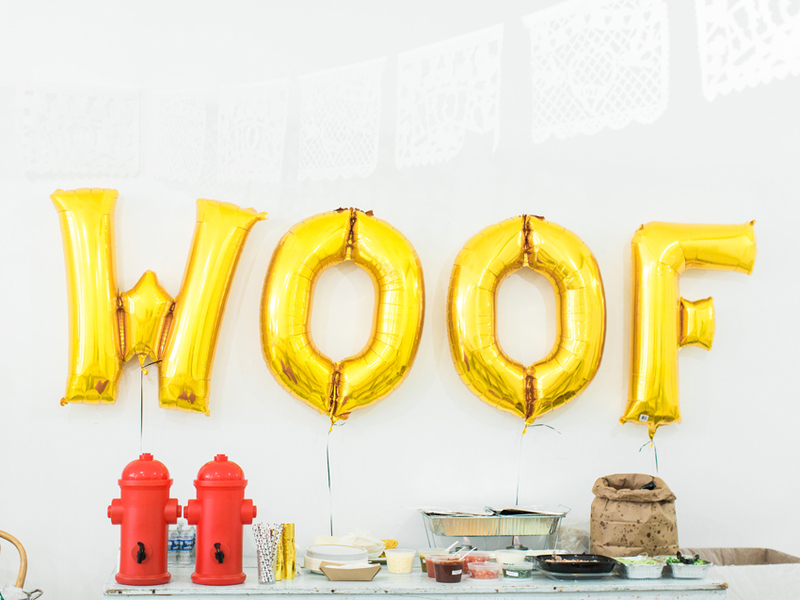 To tie in with the WOOF on the cookies, the WOOF on the sleeve of Lachlan’s sweater, and the dog theme as a whole, we had large gold mylar letters placed over the food table spelling, you guessed it, WOOF. Last year Lachlan was incredibly embarrassed when it came time to sing happy birthday so this year we told everyone to just keep doing their thing and to sing from wherever they were perched. 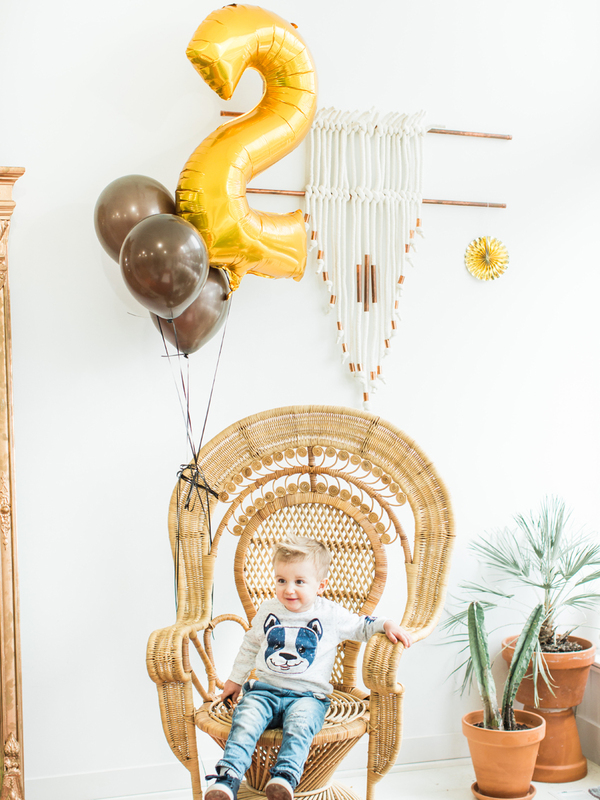 Happily our little guy sat perfectly in his chair and contently listened to one of his favorite songs performed in unison by his party guests (seriously, sometimes I have to sing happy birthday to get him to fall asleep at night). And then, he somehow managed to blow out his candle with air from his nostrils. Ha! Hilarious. We laughed! We mingled with neighbors, family, extended family, friends from high school, wedding industry friends, and many, many kiddos! We ate so much food and surprisingly ate up almost every last bit of dessert! 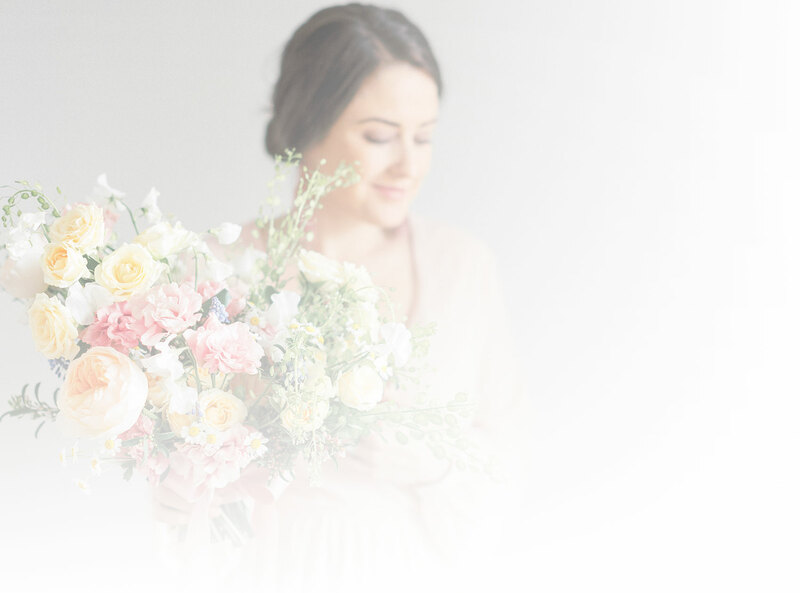 As with most memorable occasions, the day felt like it flew by in the blink of an eye but it was a treasured celebration and one I’m grateful to have such beautiful memories of. 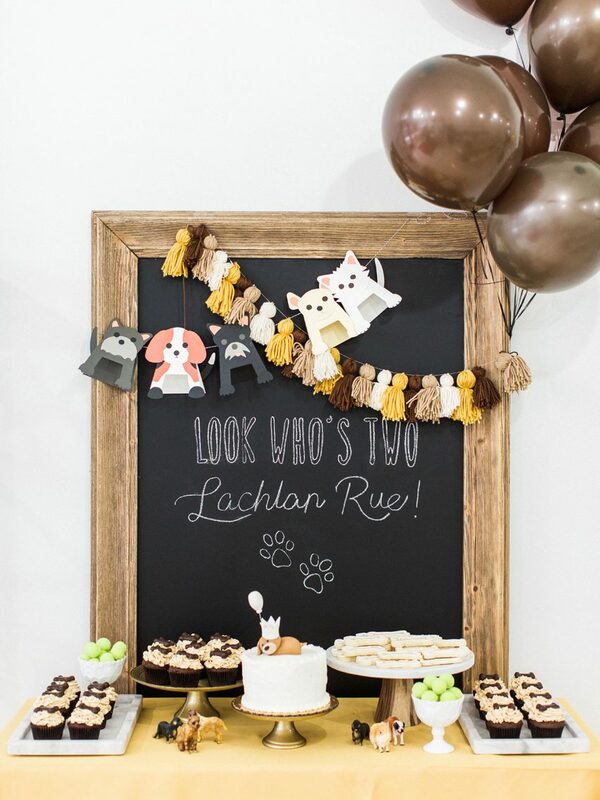 If you want to see Lachlan’s first birthday party you can see that here. 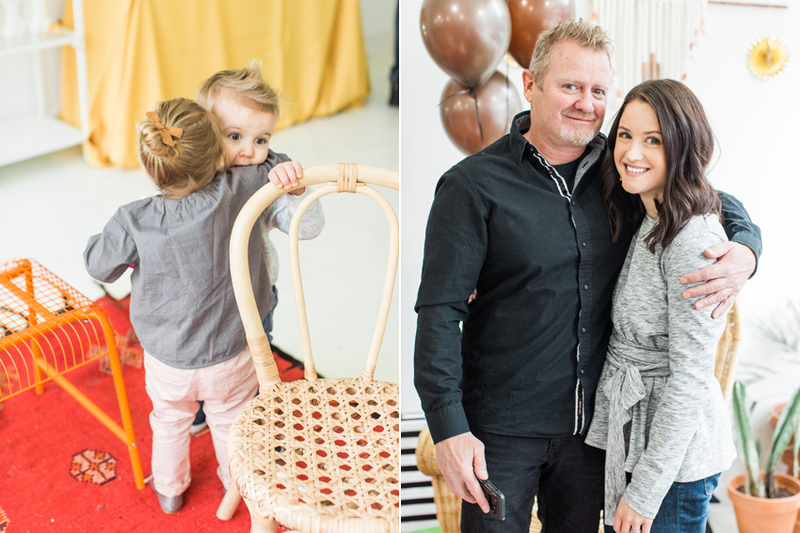 I also want to add, we are so tremendously lucky to be parents to a truly special, sweet, loving (sometimes stubborn and sassy because #TWO) toddler that lights up our life. If the next twelve months are anything like the last in the realm of parenthood, then we have more joy and blessings than we probably deserve. 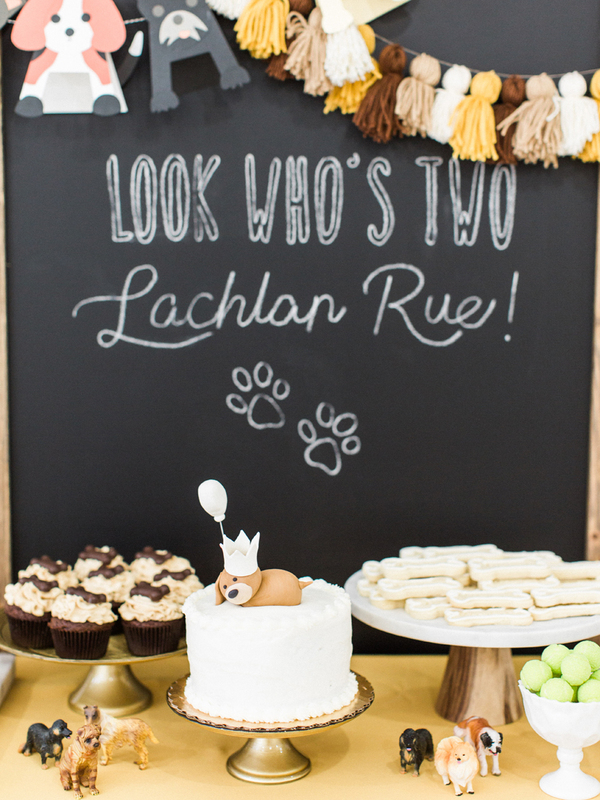 Lachlan Rue, we love you! Where do you find vintage stamps?! what a cool idea/special touch! 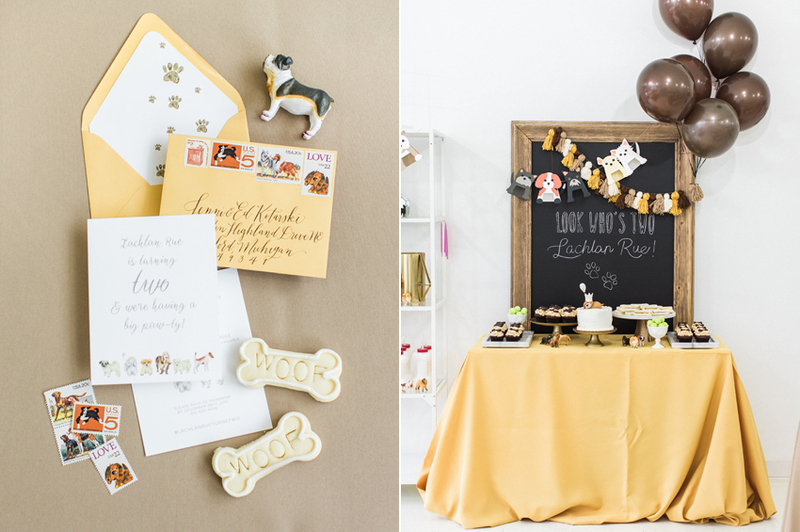 Such a well executed and thoughtful party! What kind of activities did you have to entertain the kids? 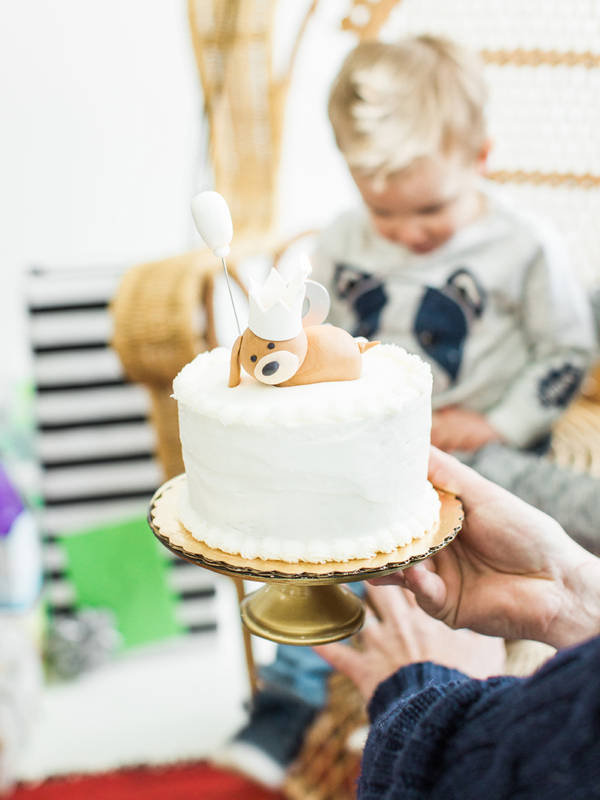 I always struggle with entertainment, aside from eating and singing happy birthday, how do kids spend their time for the two hours or so of the party? Absolutely LOVE everything about this gorgeous party my friend!!! I love it! So darn cute. 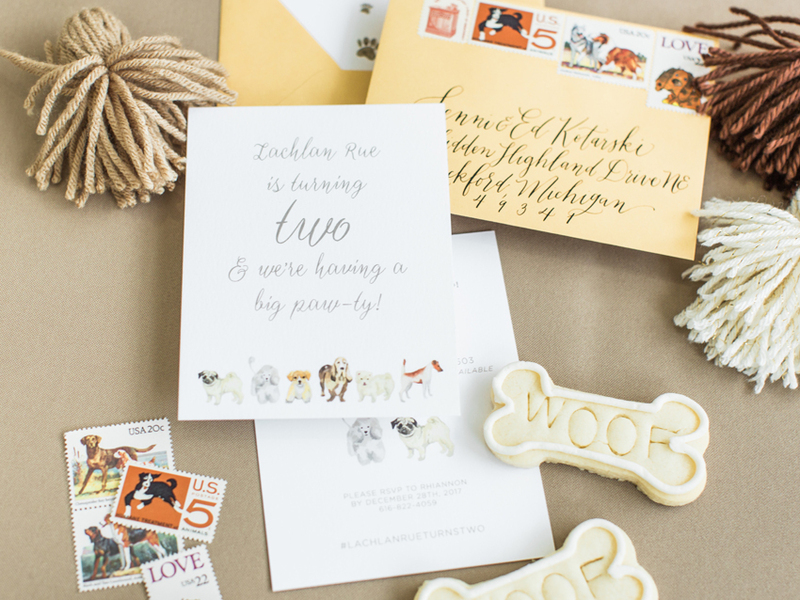 I also love the vintage stamp touch- I distinctly remember the Sesame Street episode where they showed you how stamps are made, and it was the dog stamp with “Love” written above it. The best! SO cute!!! 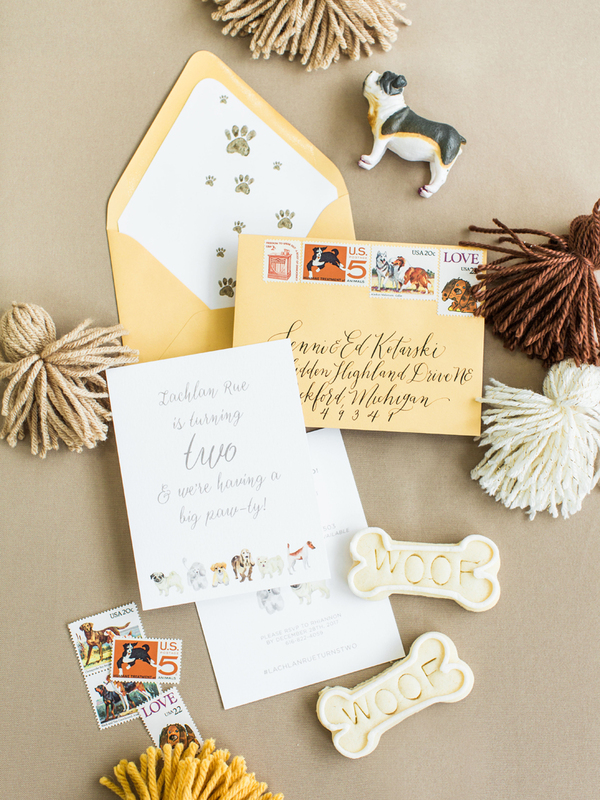 I love the little bone cookies and your centerpieces are perfect for the party! I love your party posts! 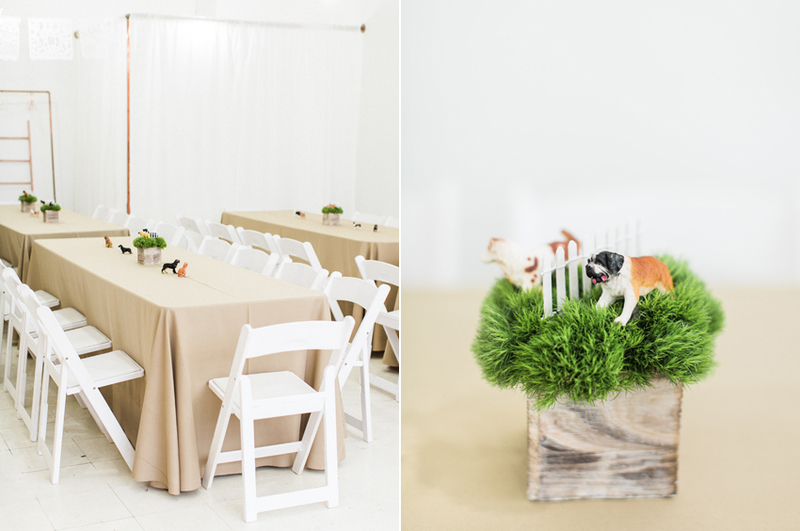 It’s so fun to see how you do things relatively inexpensive, but they turn out so adorable – like the centerpieces! So cute! I’m sure your son has the best time! I save your party ideas for my own future kids’ parties. Thanks for sharing! So adorable! What a lucky little guy! Happy 2nd birthday Lachlan!